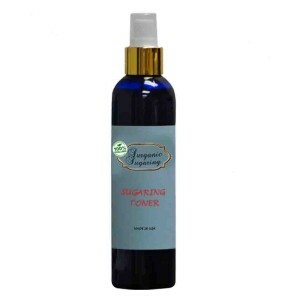 Sugaring is an ancient yet very effective method for removing hair from the body. 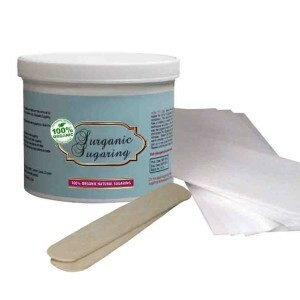 Similar to waxing, sugaring uses a paste that adheres to your unwanted hair for removal. 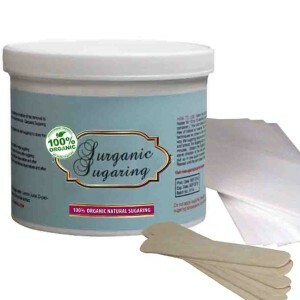 The main benefit of using sugaring over waxing is that the sugar paste does not cling to your skin cells. This results in a much gentler removal process compared to waxing. 1. Remove a ping-pong ball sized amount of the sugaring paste. If it appears very firm, you should knead it like putty in your hands until it is more gel like. This method is preferred to heating to avoid skin irritation or accidental burns. 2. 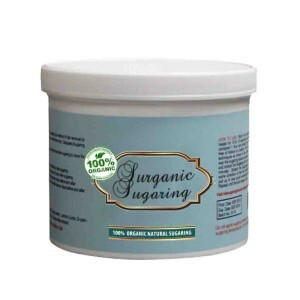 If you desire, you may heat the sugaring paste. A new jar should be heated in 5 sec increments. If the jar is full, it should only take 5-10 seconds total to ready the paste. Alternatively, you can heat the jar in a bowl of hot water, like heating a baby bottle. Hold your skin taught and apply the paste in the direction opposite of the growth of your hair. This is the exact opposite procedure when compared to waxing. The hair growth direction and pattern varies from person to person, so be sure to check which way yours goes. To remove the paste & hair, quickly flick the paste in the opposite direction of the application (this will be the same direction as the hair growth). Be careful to not pull the paste up from the skin, but instead flick the paste parallel to the skin. 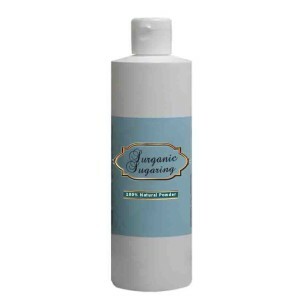 To clean up, simply wash the sugared areas with warm water and soap. 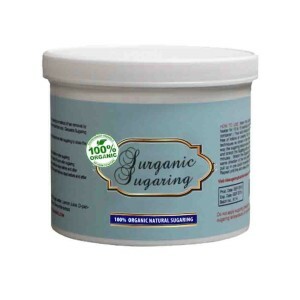 The sugaring paste is water soluble so it should be an easy clean up. Please visit our frequently asked questions section or feel free to contact us by phone or email.